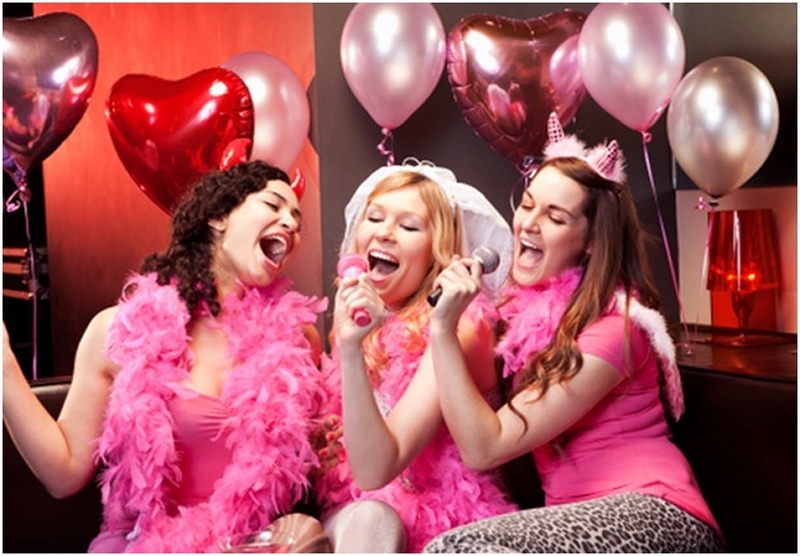 Quirky & Fun Bachelorette Party Ideas to Rock Your Last Day of Singlehood! This day and age it is often difficult to plan a bridal bachelorette party! All our desi brides are always too busy planning the D-DAY to give it much thought! Fear not, for here we are with a quick idea list of things you and your girls would love to do for your Bachelorette PARTY! POOL SIDE FUN Bachelorette Party! This Bachelorette Party, relax at a pool side with your friends! Plan a day with Food, an open bar, fun games and old stories. Have some unique cocktail ideas and good music to add on to the fun! If you have forgotten the liberating feeling of making utter fools of yourselves, lip-synching will be fun for all! Write down the brides favourite songs and put them in a fish bowl! It’s a fun way to keep the tracks going. Add fondue and wine or cocktails to the mix and you will have a night to remember! It’s never old fashioned to have a sleepover! This Bachelorette party, get your girls together for some man-candy movies, junk-food and crazy adult only drinking games! Have fun with games like Truth or Dare, Never Have I Ever and let’s not forget the Baap of School time fun- The Ouija Board! Dance clubs, Bars, Pool Hall, Beer Joints- why choose one? This Bachelorette Party, take your Girls out and go explore your favorites! Arrange for a chauffeur-driven limo and travel in style. This way you are free to go where you please and drink as you please! If your Girl Gang is too big, consider renting a van or charter a bus. Just make sure the night ends at the house, apartment or hotel where everyone can crash. Give your friends a fun Bachelorette to look forward to by planning a trip together! Let’s face it, as you’re last few days a bachelor it only serves to party out with a BANG! Rent a cabin big enough to fit a few beds or stay at a beach under the stars. Not the nature type? Lease out a suite at a hotel and order in room service and watch romantic comedies all night! Looking for a more adventurous Bachelorette Party trip? Go Las Vegas! Getting ready for a Desi Indian Wedding can be a stressful affair. Who better to De-stress with than your girls? For this Bachelorette Party, a day of mani/pedis and massages is a great idea to get everyone completely relaxed before the wedding. You can also indulge in beauty sessions to get everyone feeling beautiful! Are you more of a city explorer? Do it with your girls! Have fun this Bachelorette Party by getting it to the streets! Go through all your favourite girl hangouts in the city on the same day! You can color coordinate your clothes and have more fun being the Gang!